Our Protein Popcorn is a super-satisfying snack that’s great on-the-go — before the gym, after exercise, or as a guilt-free lunchbox companion. 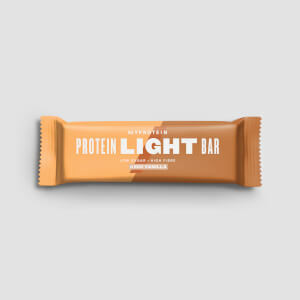 Popped to perfection and bursting with flavor, this high-protein snack is made for curbing sweet-tooth cravings. Plus, it’s available in delicious Dark Chocolate Sea Salt and Cinnamon Krunch. It’s the ideal alternative to traditional supermarket popcorn, and with 10g of protein per serving which helps grow and maintain important muscle — so you can keep your training on track! 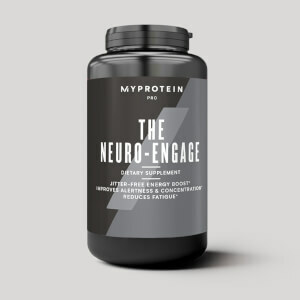 It’s time to increase your daily protein intake this deliciously tasty way. When to enjoy Protein Popcorn? It's ideal before and after a workout or any other time of the day to stay topped up on protein. What to enjoy Protein Popcorn with? To get even more all-important protein into your diet, start your morning off with our super-nutritious Green Tea Extract. Cinnamon Krunch : Candied Popcorn (Popcorn, Water, Sugar, Corn Syrup Solid, Caramel Set, Butter, Artificial Flavoring), White Chocolate (Sugar, Palm Kernel Oil, Non-Fat Milk, Sweet Dairy Whey, Lactose, Milk Fat, Buttermilk, Sodium Caseinate, Emulsifier (Soy Lethicin), Hydrogenated Palm Oil, Artificial Flavoring), Protein Powder. Dark Chocolate Sea Salt Flavor:Caramel Popcorn (Popcorn, Water, Sugar, Corn Syrup, Solid Brown Sugar, Caramel Set (Stearin, Soy Lecithin), Butter, Vanilla Extract), Dark Chocolate (Sugar, Hydrogenated Palm Kernel Oil, Cocoa, Non-Fat Milk, Emulsifier (Soy Lecithin), Artificial Flavoring), Protein Powder, Coarse Sea Salt. *The nutritional information is based on the Freedom version, when choosing an alternative flavor the nutritional values may vary. Air blown candied popcorn with added protein and sweetner. Naturally and artificially flavored. I AM SOOOOO GLAD THEY GOT THESE BACK IN STOCK! THEY ARE LITERALLY THE BEST. I LOVE SNACKING ON THESE AT MY DESK AT WORK. Always sold out. So.....either get a better manufacturer or people will move on to other tasty treats. There is a lot of protein based competition. Loving the dark chocolate flavor of this protein popcorn. It’s truly addictive. I ordered this protein popcorn for the same reason most other people did. I wanted a sweet snack that also would fit my Macros. When my popcorn arrived in the mail yesterday, the first thing I did was cut the bag open and tried a few. The first piece I was like "ehhhh... I don't know about this." However, after the second or third piece I REALLY started to enjoy this stuff. It is quite tasty. It tastes as much like "Chocolate Popcorn" as you can get being protein popcorn. The macros aren't too bad if you account for them. Overall, the Chocolate Sea Salt flavor (I think that is what it's called) is what I got and I do recommend it if you are on the edge. Has a good flavor profile and the macros are pretty sweet. My vote: BUY IT AND TRY IT. Got the chocolate/caramel flavor. 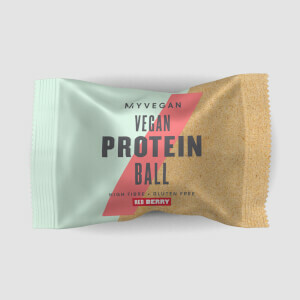 Tastes great, it's hard to tell it's a protein snack, and I could definitely eat the entire bag in one go if I wanted to. I ordered the popcorn bundle with all 4 flavors. We tried the peanut butter vanilla first and it's SO good. My kids say it tastes like the Reese's Puffs cereal. I've never had that cereal but this popcorn has great peanut butter flavor. Can't wait to try the other flavors. Tastes good all by itself to satisfy a sweet craving! They all taste good. The dark chocolate sea salt is GREAT! I just wish it wasn't so expensive. I wish the vanilla peanut butter had a stronger PB flavor. The freedom reminds me of berry crunch cereal. Only negative is the amount of sugar and low amount in the bag. Its decently priced with decent macros. I find it best at satisfying sugar cravings. So far only tried freedom and dark chocolate sea salt flavors. Freedom tastes exactly like fruity pebbles 10/10. Dark chocolate sea salt tastes like lightly salted chocolate 9/10. 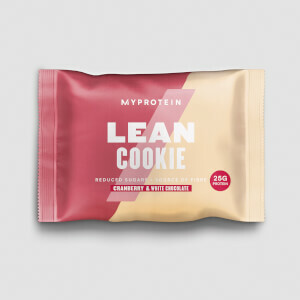 My favorite snack from MyProtein! The dark chocolate sea salt is amazing! Only a few bites totally satisfies my sweets craving with 0 guilt!